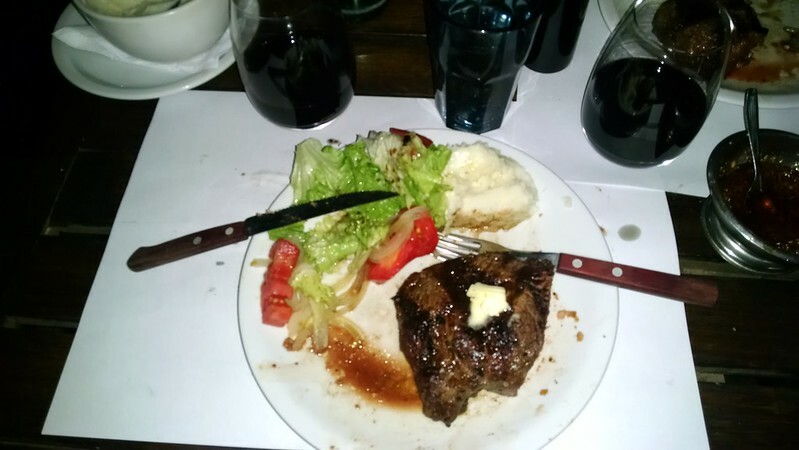 Bariloche – I got the meat sweats!!!! I will only be addressing the question on what are the meat sweats. In short it’s a phenomenon that occurs when someone eats too much dang meat. This condition, more commonly referred to as el sweetieous meatitus in the science world, is extremely common here in Bariloche. I would go as far as to say that it’s unavoidable. You eat way too much meat and you begin to sweat while at the table. Doesn’t matter what the temperature is, what matters is how much meat you ate. Here in Bariloche they don’t mess around. Meat is serious. 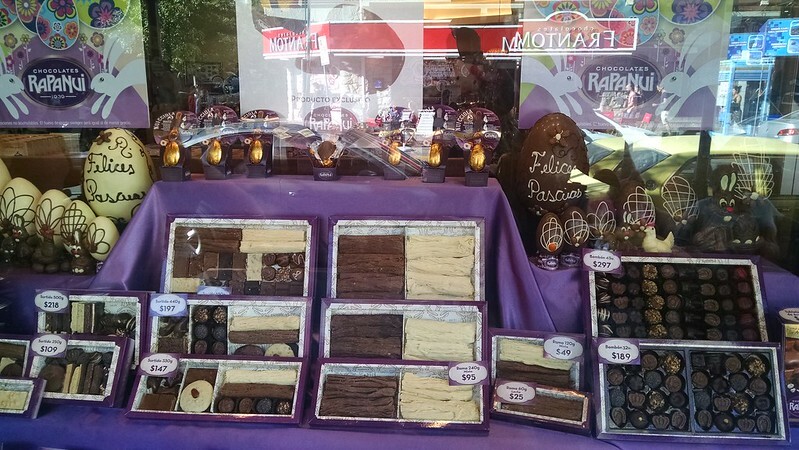 There is a tremendous amount of German and Swiss influence on this town which results in a healthy mixture of artisan cured meats, specialty chocolate and craft beer. When we where in Montanita we met a guy that described Bariloche to us. 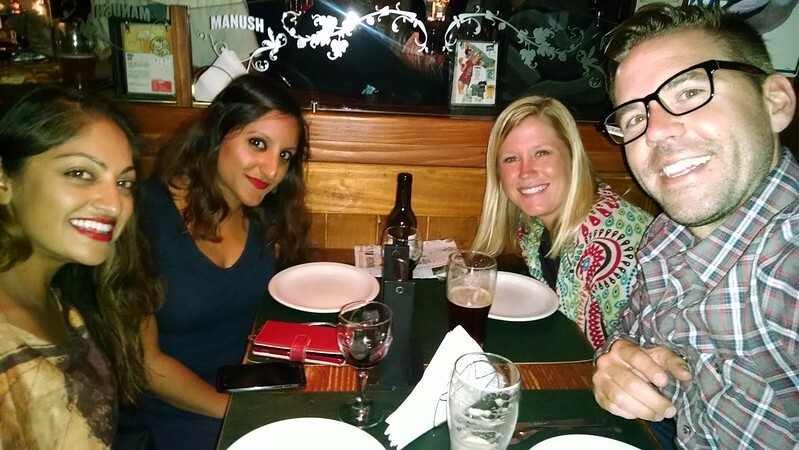 He spoke about the meats and the beers and scenery …all the while Lindsay and I had our mouths wide open. He was describing our dream. Beautiful scenery, mild climate, awesome food, good beer, chocolates, very reasonable priced. His description is what prompted us to head down here. And thus far is has not disappointed. I am sweating as I write this. The food has been awesome and the prices are crazy cheap – compared to Chicago. In the three nights that we’ve been here I have had two giant rib-eyes (on average it is about $1 per oz – these are 16oz rib eyes for $16) and a wild platter of cured meats. I don’t even know what was on the plate. Liver pate, salami, bologne maybe, other meats that could have also been cheese – or maybe it was a cheese that could have been meat. I really don’t know – but it was delicious. I’m not sure how long I can keep my streak of meat consumption going, but I do not plan to stop anytime in the near future. 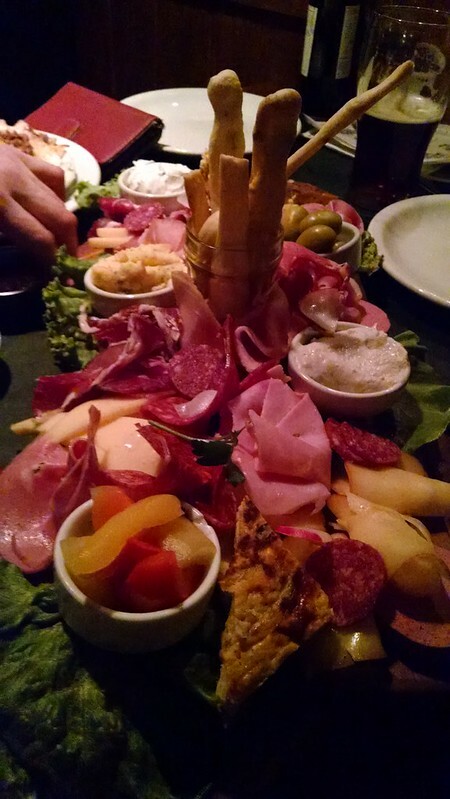 Assortment of cured meats, cheeses and dips from Manush. 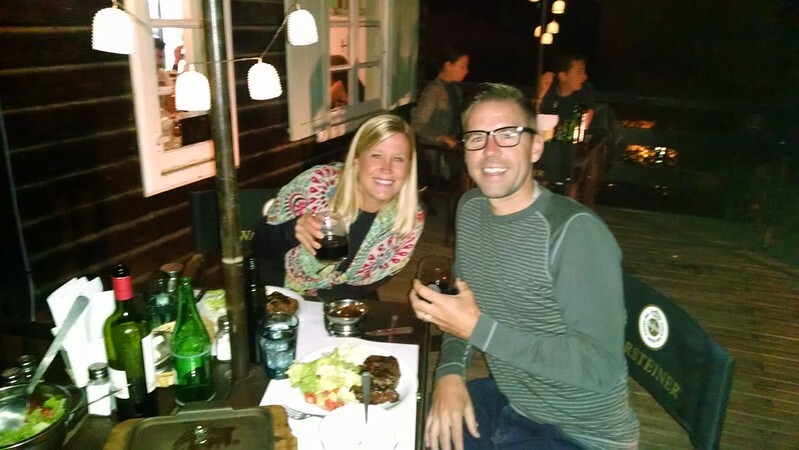 We sat outside (not a great idea) at El Alto Fuego, but the meat was delicious. I was so hungry I forgot to take a pic of the whole thing. This is half. Poor lighting, good beer. 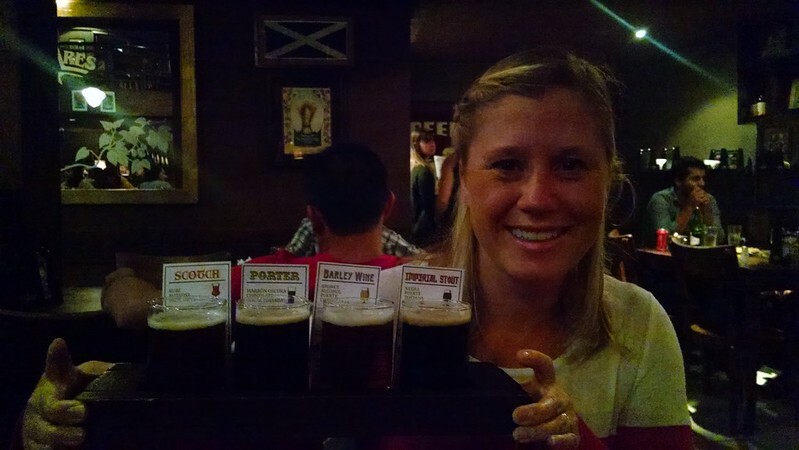 Lindsay with her flight of beer from Antales. ← El Calafate: Perito Moreno Glacier – Unreal. this amazing trip with you. Love seeing the posts.